The Curiosity rover, still roaming in Gale crater, has discovered the first evidence for a potential ancient “continental crust” on Mars, which would be a very significant finding regarding Mars’ early history and to what degree it may have paralleled Earth’s. The new results, announced on July 13, come from the ChemCam instrument on the rover which uses its laser to identify the mineralogical and chemical makeup of rocks, and they are similar to what is found in granitic continental crust rocks on Earth. The findings are in contrast to what has usually been seen elsewhere on the planet before, which is mainly a basaltic composition of rocks. 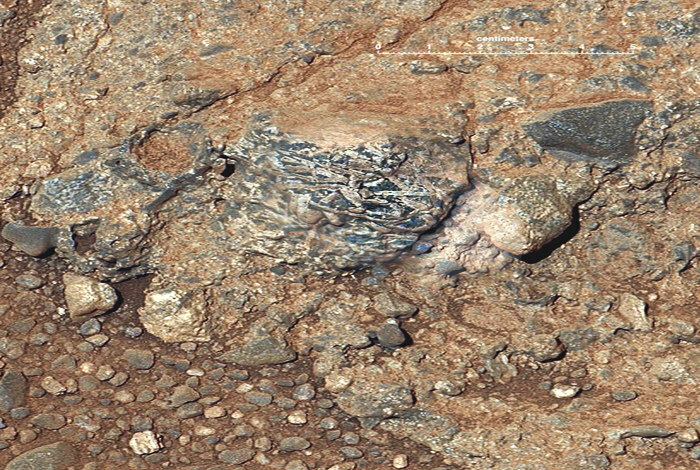 Gale crater, however, still contains pieces of igneous rocks, which were analyzed by ChemCam. Twenty two such rock fragments were studied via Curiosity by U.S. and French scientists, led by Violaine Sautter of the National Museum of Natural History in Paris, who determined that the pale-coloured rocks are rich in feldspar, along with some possible quartz. They are surprisingly similar to rocks in Earth’s granitic continental crust. In particular, they strongly resemble a terrestrial a rock type known as TTG (Tonalite-Trondhjemite-Granodiorite), which are rocks that predominated in the terrestrial continental crust in the Archean era more than 2.5 billion years ago. Some of the rocks contain silicon oxides and alkalis with fine-grained to crystalline textures, while others are coarser-grained, like quartz diorite and granodiorite. In general, there are three rock types found; some had large crystals in them, others had microscopic crystals and still others with both large and microscopic crystals, which may indicate magma which cooled slowly before erupting. The ones with the large crystals closely resemble the granodiorite type of granite. The new results were just published in Nature Geoscience. The walls of Gale crater provide a natural geological cut-away view 1-2 miles down into the crust, ideally suited for a rover to study; some of the rocks found would not be easily visible to orbiting satellites. 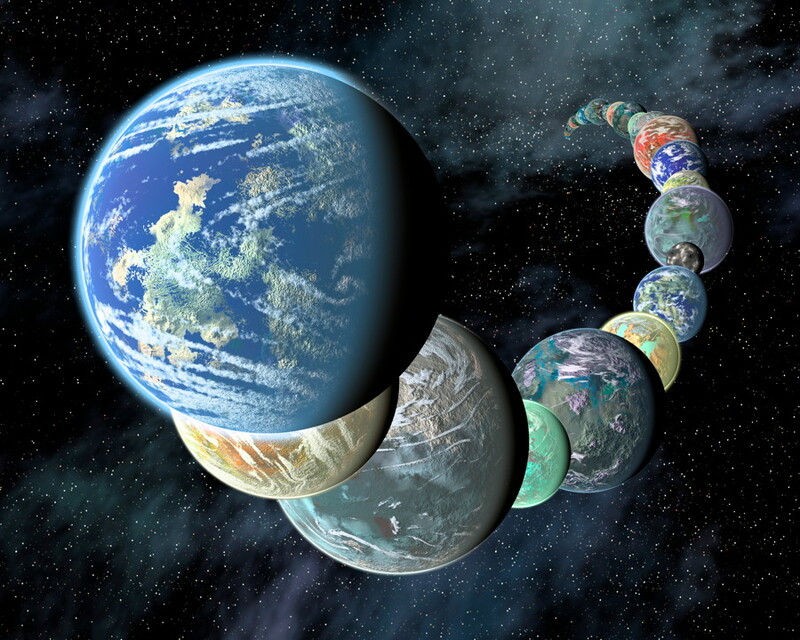 It was previously thought that the Earth was the only planet in our Solar System with a continental crust, since it typically takes a long time for lighter rocks to rise to the surface and become the continental crust. Earth’s crust is divided into tectonic plates which move over the softer mantle below. The plates which make up the oceanic crust are thinner, darker and heavier, while the continental crust plates are thicker, lighter-coloured and lighter in weight. 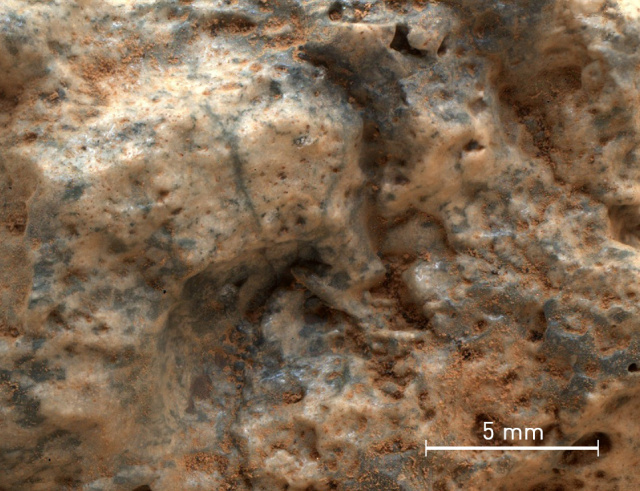 “The conventional wisdom from previous Mars missions has been that Mars is all basaltic like the oceanic crust on Earth, fairly high density, dark-coloured, with a lot of mineral called olivine, and that’s what previous rovers found,” said Wiens. While this isn’t direct evidence for actual plate tectonics on ancient Mars, it does provide evidence for at least the precursors to them. The findings, combined with many others regarding Mars’ geological history, are helping scientists to better understand the complex history of this fascinating world, and whether it could have supported life. Curiosity is continuing to explore its environs in Gale crater, after having just passed through the period of solar conjunction when communications were necessarily halted for a couple of weeks. It will now continue to move through the valleys ahead and into the foothills of Mount Sharp, which will provide even greater geological context for new discoveries and learning about Mars’ ancient history in this region.